IT'S HERE... our 4th annual EASTER EGG DROP is happening April 20, 2019 from 9:00AM-12:00PM. The first drop, at 10:00AM, will be for ages 3 - K.
The second drop, at 10:30AM, will be for 1st - 5th grade. There will be special hunts throughout the day for ages 2 and under. 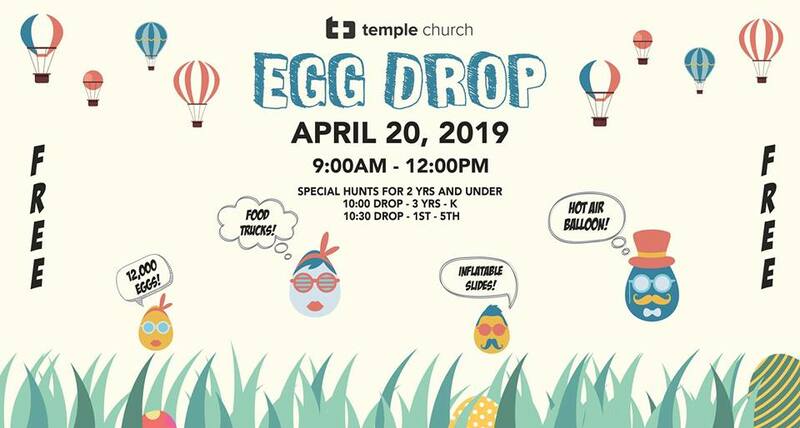 This Easter weekend, join us at Temple Church for this FREE event, and come back the next day for Easter service!